Its hard to tell the difference between a honey bee and a wasp when you are running around screaming and flapping your arms trying to swat the yellow and black KILLER thats flying towards you………. BUT if you were to stop and take a look you will surely notice quite a difference. Honey bees for a start are hairy, whereas wasps are usually smooth and “shiny”. Wasps also have a narrow waist (I wonder if bees get jealous……?) and 4 wings. Whilst both sting, the Honey Bee will usually only sting if aggravated, feeling threatened or protecting its nest/hive as, once they sting, Honey Bees will die. Wasps are more aggressive and will sting without provocation and multiple times. Unlike Bees, Wasps do not die after stinging…..mores the pity! Hornets are different. 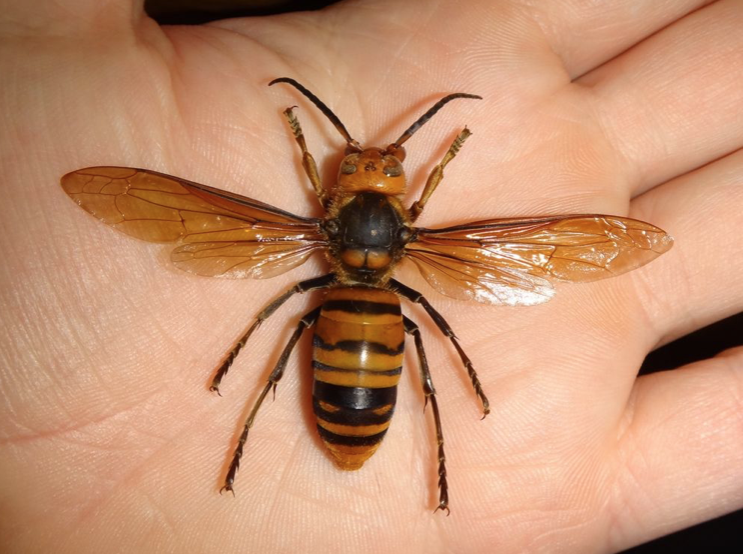 Hornets are big….no, monsters……hornets are MONSTERS! Ok, I exaggerate but they are much bigger than your Bee and Wasp and easy to distinguish. Bees and Wasps will both look for cracks in and around your house. If they can find a way into your attic, for example, then thats where they will build their nest/hive. They can remain undisturbed and out of harms way for quite some time when hidden away, great for building large colonies. There are many species of Bee but here we will just be referring to the Australian Native Bee (of which there are over 1600 species) and the, introduced, European Honey Bee. The Native Bee’s main job is pollinating our plants, it does not really produce honey. 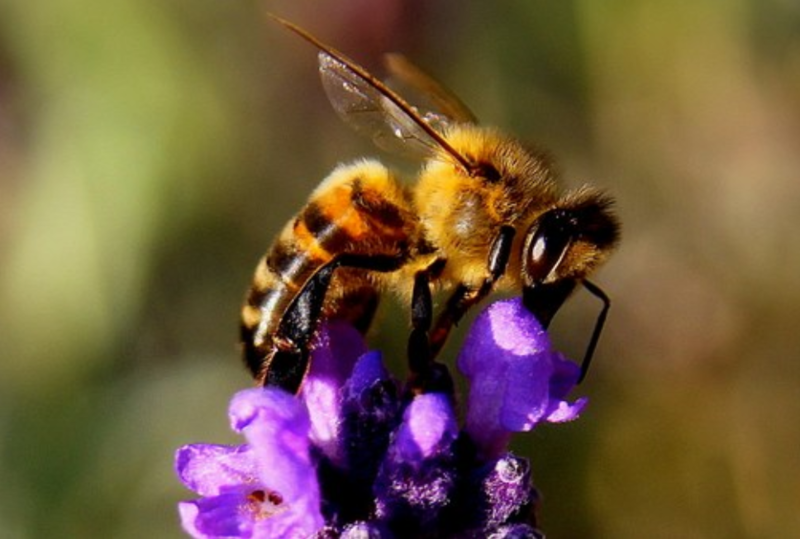 How does pollination work? Well, bees will actually eat the pollen, or nectar, of a flower/plant and, in that process, become covered in pollen. Pollen is made by the male organs of a plant (stamens in flowers) and contains all the genetic information needed for a plants reproduction. Pollination happens when the Bee transfers the pollen to the female organs of a plant (stigma in flowers) as he looks for more pollen, or nectar, to eat. Pollen may be transferred to female organs on the same plant (self-pollination) or another plant of the same species (cross-pollination). As a result of pollination the plants produce seeds. Pollen can also be dispersed by wind, water and other animal pollinators such as insects, bats and birds. With some exceptions Native Bees do not live in hives but tend to live alone in wood, gaps between rocks, the stems of some plants, and homes they have dug for themselves underground. This is very different to the European Honey Bee which live in groups with thousands of workers and ruled by a Queen. European Honey Bees live in colonies and are made of up 3 types……Queen, Drone and Worker. As the Queen Bee is the only one that is capable of laying eggs, her job is purely to build the colony. She can live up to around 2 years and lay upto 3,000 eggs per day. She will take only one mating flight early on in her life but will mate with several Drones during that flight. Their sperm will be used throughout her lifetime to fertilise her eggs. The Queen can choose which eggs are fertilised and which are not. Un-fertilised eggs will become male bees (Drones) and fertilised ones will become Worker or Queen Bees. The Drone bees are male and their only job in life is to mate with the Queen. They do not have stingers and do not collect pollen. Seems to be a bit of a cushy number BUT if the colony was to ever face a lack of food, the Drones would be the first out on their ear! The Worker Bees are all female but not developed for mating. They can lay unfertilised eggs which, in turn, become male bees (Drones). They are the smallest of the bees but have the most jobs to do. They collect the pollen, protect the entrance to the nest, feed the Queen, feed the larva and help to keep the hive cool by fanning its wings. You will find around 50,000-60,000 Worker Bees in one colony. A Honey Bee probably only produces a twelfth of a teaspoon of honey in its whole life. Based on this, it would take approximately 1200 bees to make 500grams of honey. Well I will appreciate my toast a bit more in the morning now! Everyone fears wasps. Everyone wants wasps eliminated. Lets face it wasps can sting…..ALOT!! The only good wasp is a dead wasp……OR IS IT? 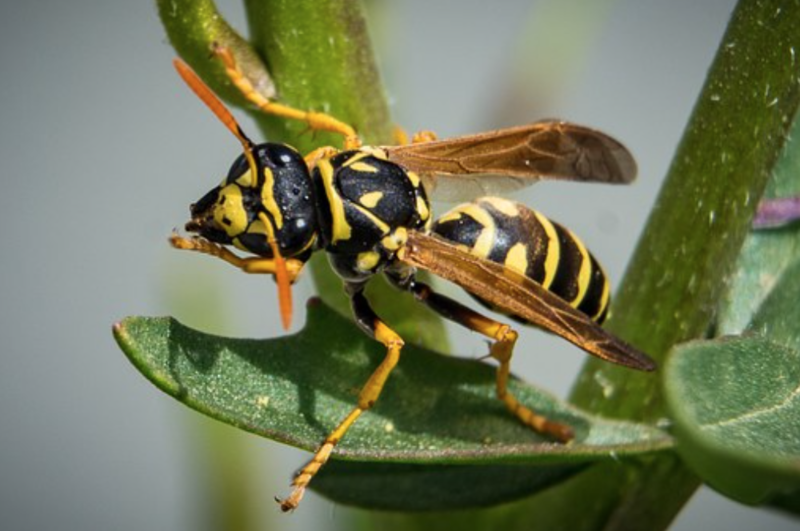 Yes wasps can be aggressive BUT wasps are also quite beneficial to the environment as they are, partly, responsible for keeping other insects at bay. Important especially to crop farmers. Whilst their are hundreds of different species of wasp, they can be divided into two categories: SOLITARY and SOCIAL. The common wasp is a social one so this means that it lives in a nest with thousands of other wasps that is “ruled” by a Queen. She, like the Honey Bee, has Worker Bees (female wasps) and Drones (male wasps) within her colony. Each Spring, the Queen, who would have been fertilised the previous year, starts a new colony with a small nest. She will produce some female worker wasps who will then take over expanding the nest. As wasps do not have a wax producing gland like the Honey Bee, they make their nests from a paper-like material made from wood pulp. They gather wood fibres that are softened by chewing and mixing with saliva. This paper is what is then used to make the combs with cells that will house the wasps larvae. Wasps are most aggressive when defending their nest. Unfortunately they tend to build them close to, in or on houses so avoiding them is often not easy. They are also most active when the nest is finished and is housing lava of new wasps as they will be out on the hunt looking for food to feed them. If you do find a wasp nest, do not approach it (as this may anger the wasps) and do not try to kill the wasps or destroy the nest. If attempted by an untrained person, it could lead to multiple stings from multiple wasps which would be extremely painful and, if allergic, possibly cause an anaphylactic reaction. Rather, contact ARK Pest and we will safely take care of the situation for you. If you do do get stung and have a reaction, please seek medical attention immediately. 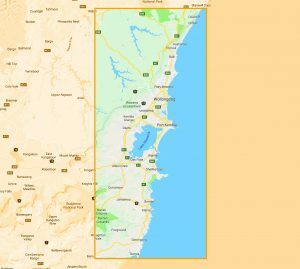 Ok, lets start off by saying that TRUE Hornets will not be found in Australia. True Hornets are only found in Asia, Europe and Africa with one species also introduced to North America. 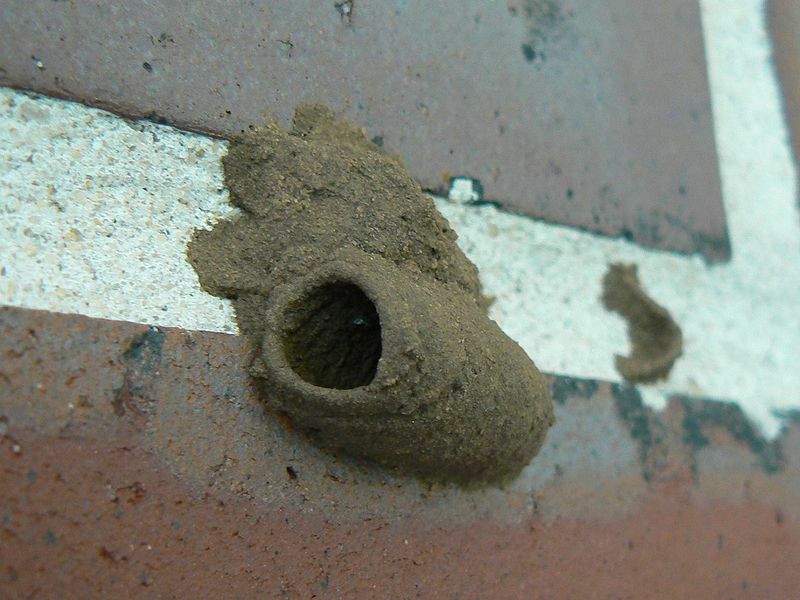 We’ve already covered Wasps so lets now take a look at a Mud Daubers and Potter Wasps. Both Mud Daubers and Potter Wasps are predatory wasps. They both build nests made from mud and saliva and they both also paralyse other insects that they will put into those nests for their larvae to feed on. 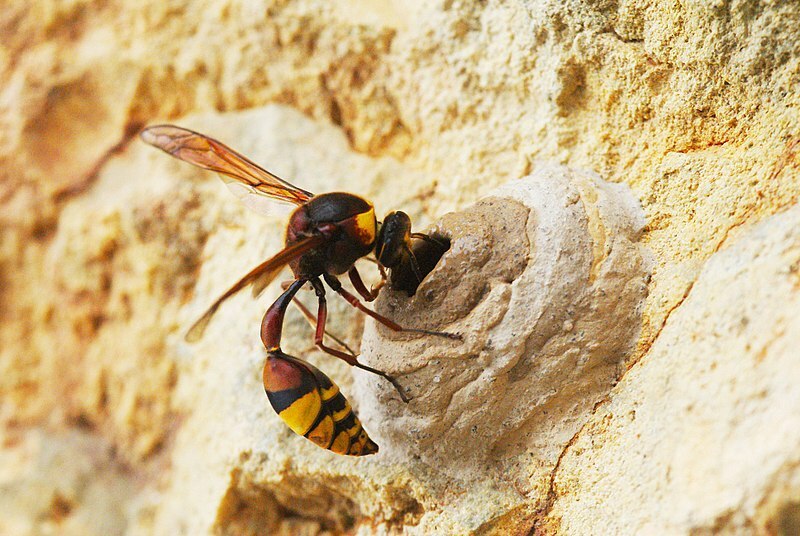 The Mud Dauber will prey on spiders and the Potter Wasp Caterpillars. Once the larvae hatch, they will feed on the insects and then later emerge as full grown adults ready to start the cycle all over again. Their appearance is one way they differ. The Mud Dauber is mainly black with yellow patches and has an elongated body (approx. 28mm in length). 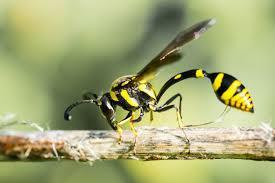 The Potter Wasp also has an elongated body but has more yellow than the Mud Dauber (approx. 30mm in length). Unlike your average wasp, Mud Daubers and Potter Wasps are not aggressive and unlikely to sting so long as you don’t try and touch them or anger them. They are actually quite beneficial to have around as they keep spider numbers under control. 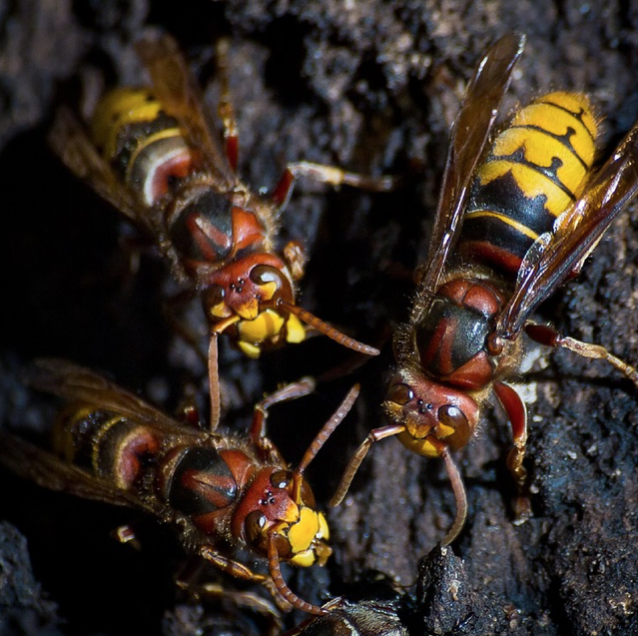 Pest Control on Mud Daubers and Potter Wasps are not necessary but if you are concerned by them please give us a call. HOW DO ARK TREAT BEES / WASPS? Most Bees are solitary insects and not too much of a nuisance. As bees are important to our environment and agriculture, we encourage the killing of bees only in an emergency. That said, there are a few species that are of the social kind and it is these ones that build hives and create large colonies. Likewise, so do wasps and they are often on, in or within the boundaries of our home. If you do find a hive / nest, PLEASE DO NOT attempt to kill the wasps/bees or remove the nest. Wasps can, and will, sting repeatedly to defend its Queen and a Bee will also inflict a nasty sting even though it will then die. ARK are trained to treat for Wasps and Bees in a safe manner. We will blow an insecticide dust or spray into the entry tunnel to their nest. This will not give them time to react and will also get directly to the Queen.